I rearranged by moving the weight rack to the west wall and also spray painted it black. By moving the weight rack I then had to move the mat over a foot or two. The weight rack now sits under the new shelves. The shelves helped to get items off of the floor as well as add some personal touches with decor and accessories. 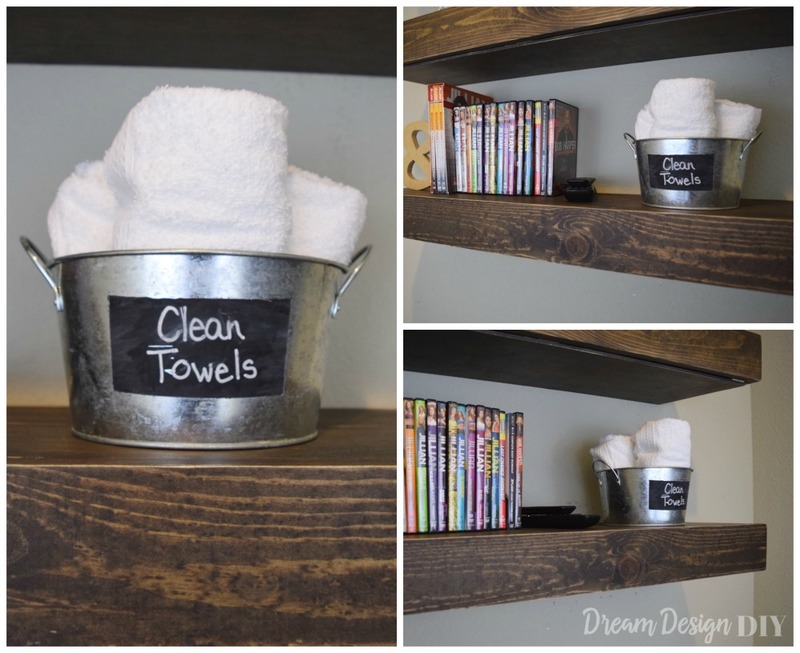 I added a galvanized bucket that I spray painted chalkboard paint to be able to write out a label that stores clean workout towels. 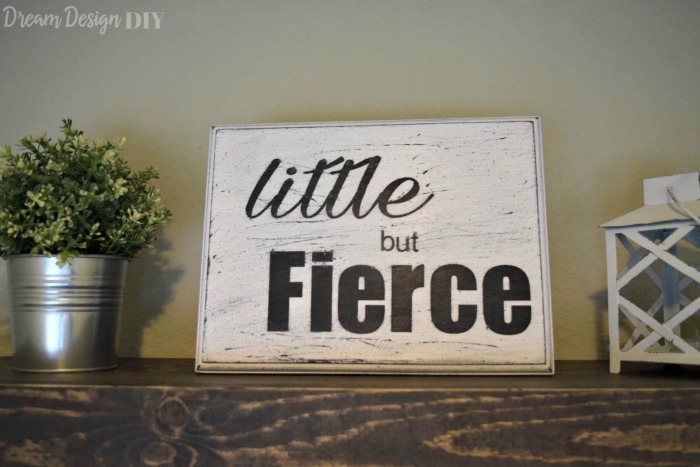 My favorite decor item I would have to say is the “little but fierce” sign I created. I came up with that today as I was scrambling to get the room completed. It is made from a $1.50 thrift store find, spray paint and cut out letters from my Silhouette machine. I love how it turned out. 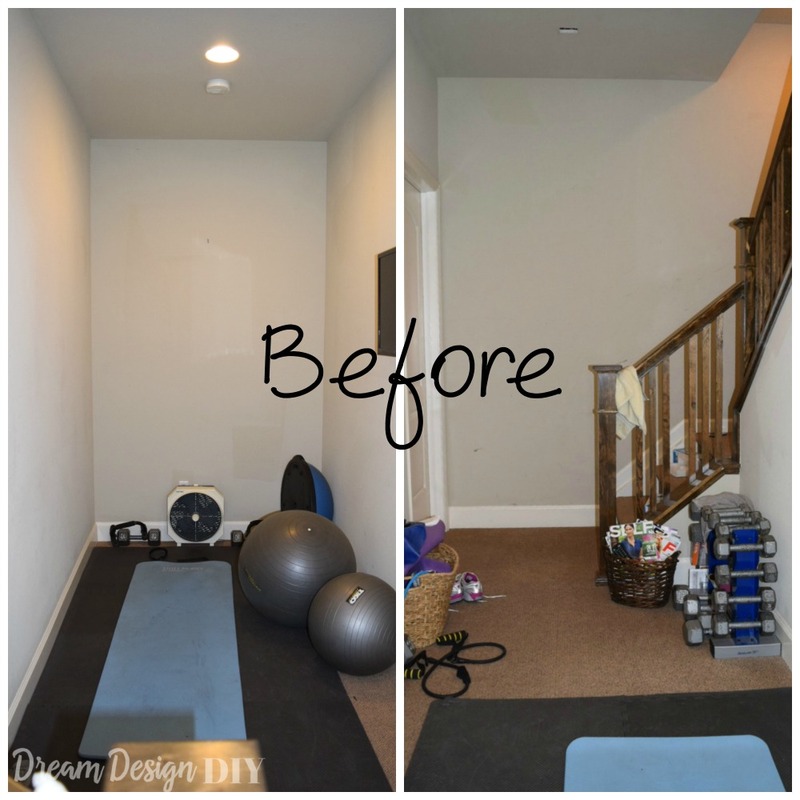 Other organization involved the Workout Ball Holder which got the workout balls off of the floor to create more functional space. After much research of what was currently available for workout ball storage I ended up creating my own for less than $3 using a 2 X 4. I was able to customize this to fit two different sized workout balls. 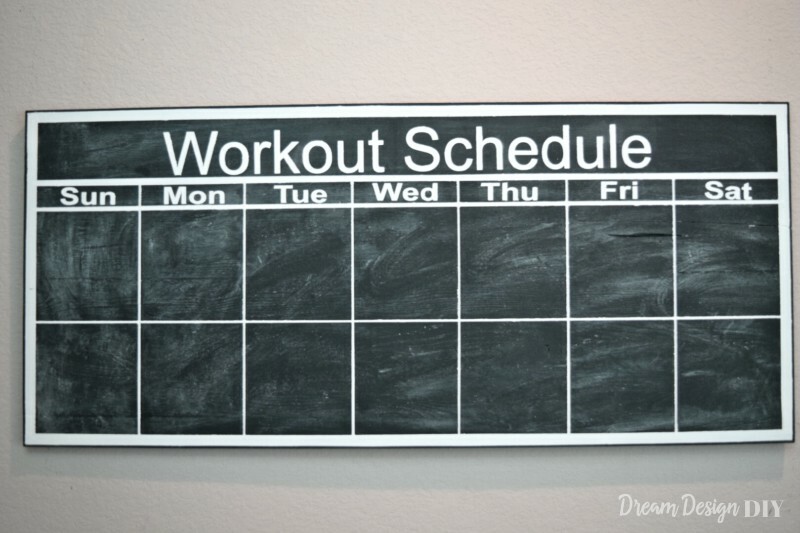 I created a Chalkboard Workout Calendar to help with organizing a two week workout schedule. 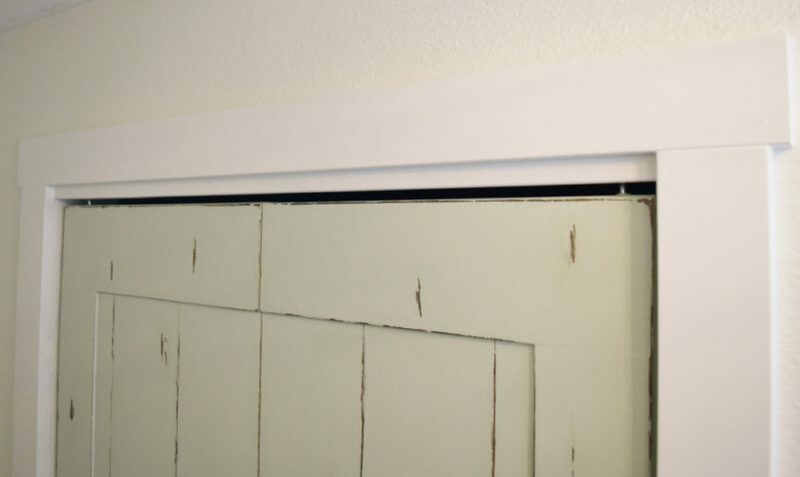 For the final week I made a Ballet Bar. I thought this was a nice touch to add to the room. 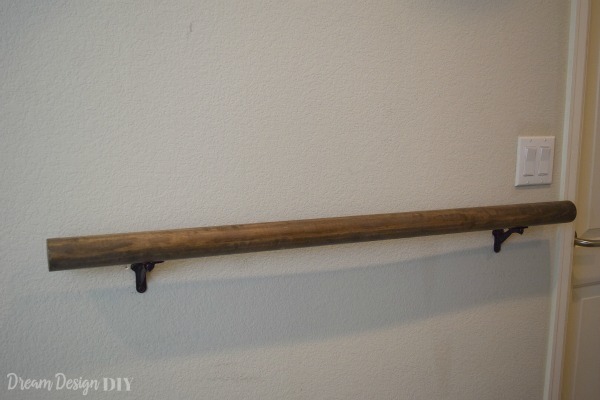 It is also another form of exercise I can now do in the workout room and I made the ballet bar for under $20. The room can be a challenge to photograph due to it being narrow. Here are a couple more pictures. I tried my best to get a picture of much of the room as possible at one time. There are a few things I wasn’t able to finish, however overall I am happy with how it turned out and I learned a lot in the process. I very much appreciate the host Linda from Calling it Home who created this event. 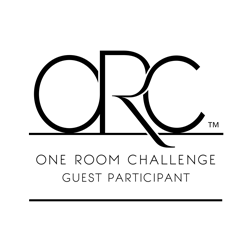 Please take some time to check out the other participants’ makeovers here. Stay tuned for tutorials to come in the following days and weeks. This looks great! I love how the balls are elevated off the floor. That was a smart way to save on space. It looks great! Great job, Tiffany! The space looks a whole lot more inviting and functional now. 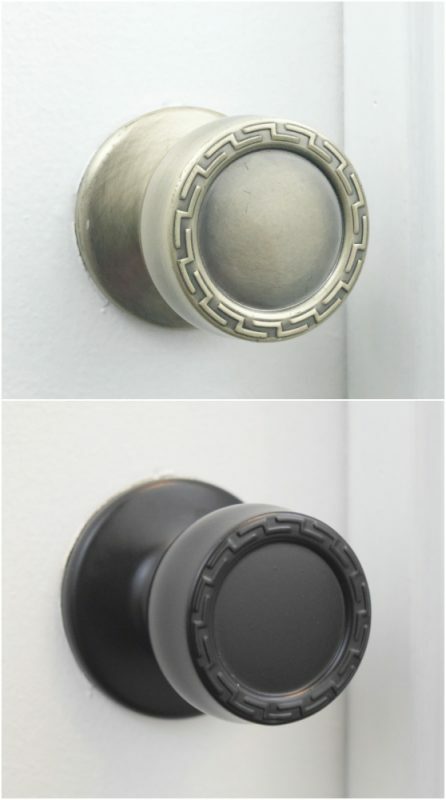 Your DIY projects turned out great, and I’m especially impressed with the ball holder. Well done! You did amazing! 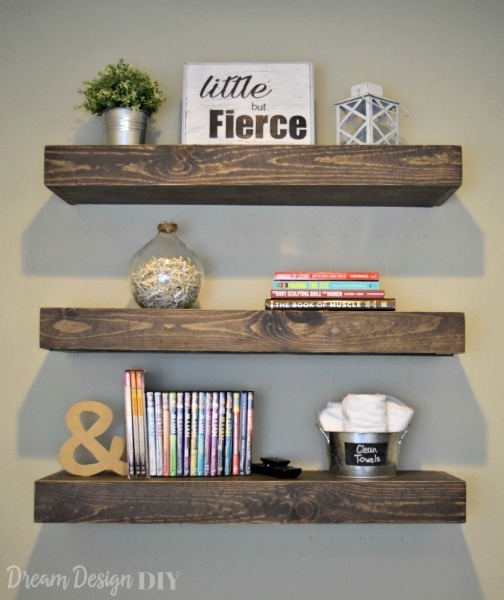 I love those floating shelves, and that stain color is beautiful! It is so organized and perfect to work out in! 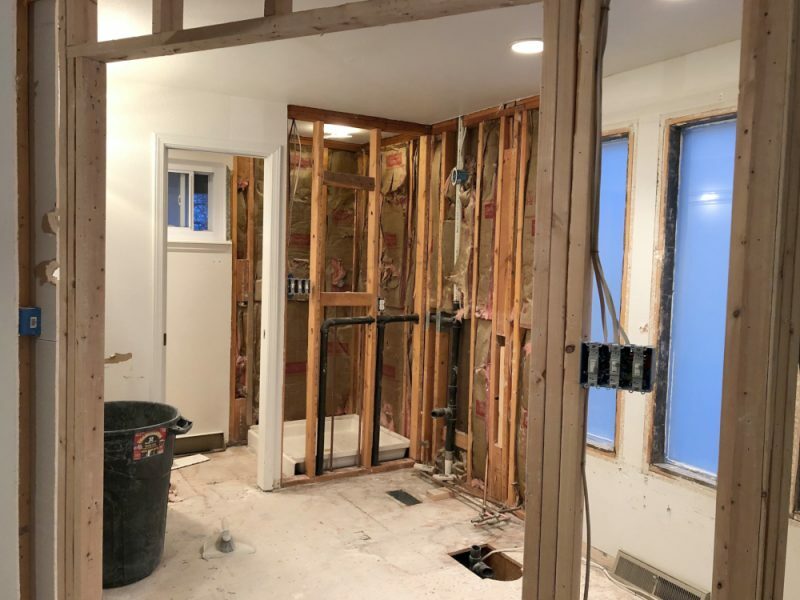 Your workout room turned out great. 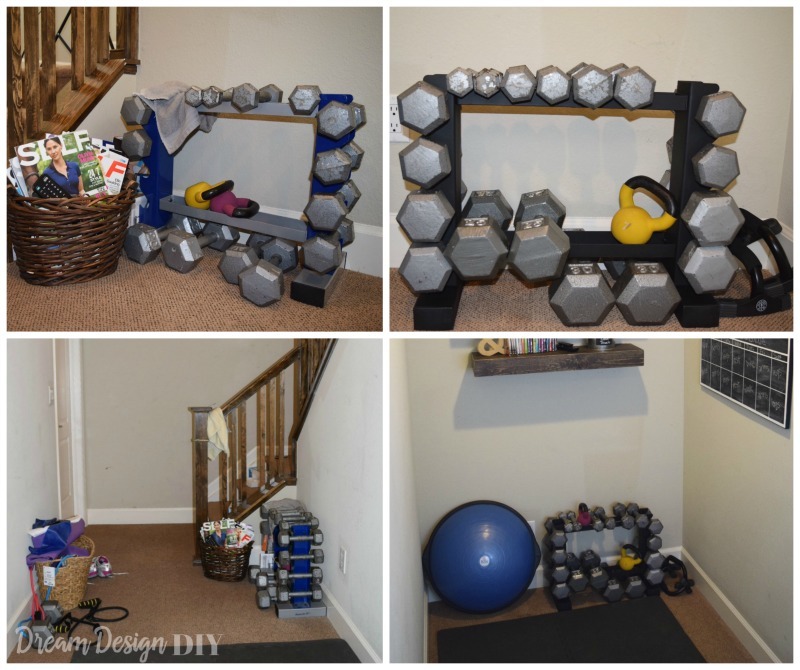 The shelves look really nice & I especially like the exercise ball holder you made. Thank you! I was very happy about the workout ball holder and because it was so cheap. I’m jealous of your workout space! It’s so organized and clean! Haha it is now. If it wasn’t for the ORC I don’t know where it would be. The space is great…and now it is even better. Thank you for checking it out. You did so much with such a little space. 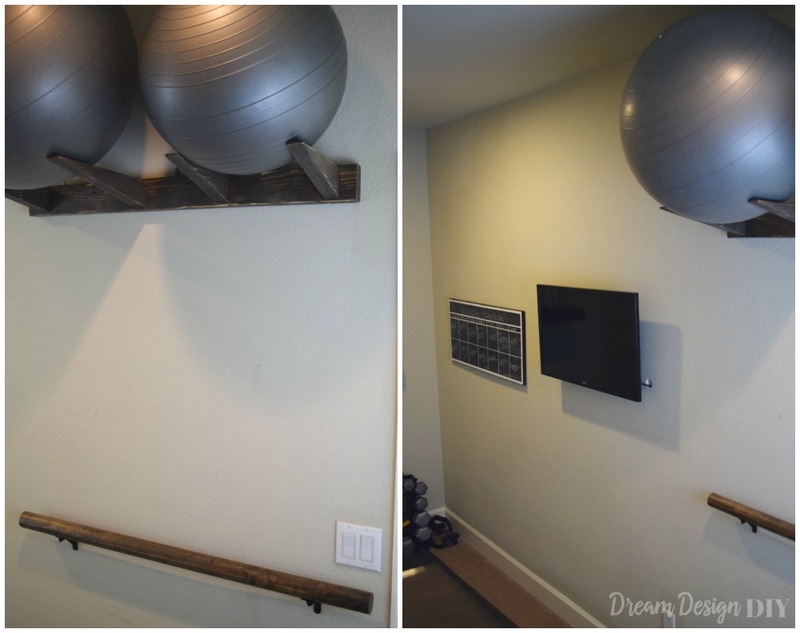 I am loving how you soften the vibe of a workout space by adding wood finishes to your space. I also like your exercise ball holder. I need that! If you DIYed it, please share how. I haven’t done the tutorial yet, but will definitely be showing the tutorial soon. Thanks for checking it out. WOW! Love how your organized the balls! Those are always a pain on the floor. The ballet bar is perfect and a nice touch! Well done! Hi Sara, Thanks so much. Yes was so happy to get those workout balls off the floor. Tiffany! You did so many amazing things in this room. Can’t wait for all the tutorials. Ahh thanks Erin. I am happy with the results too! Will be posting stuff shortly. 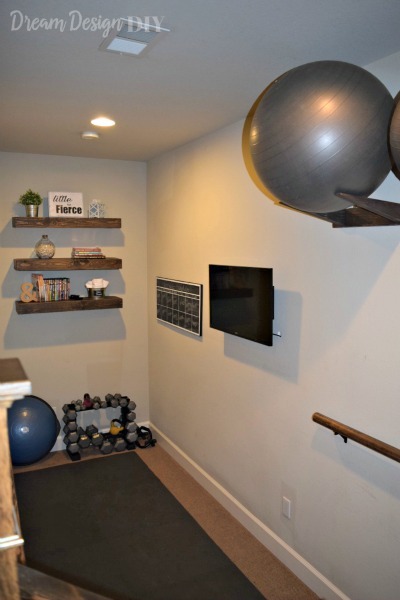 What an awesome little space to devote to working out! It looks great and so much more organized now. Nice work! Thank you so much! Yes a much better space now for sure. What an awesome space! You came up with some creative solutions and it looks great. Thank you for checking it out. It is a great space for working out and now even better. 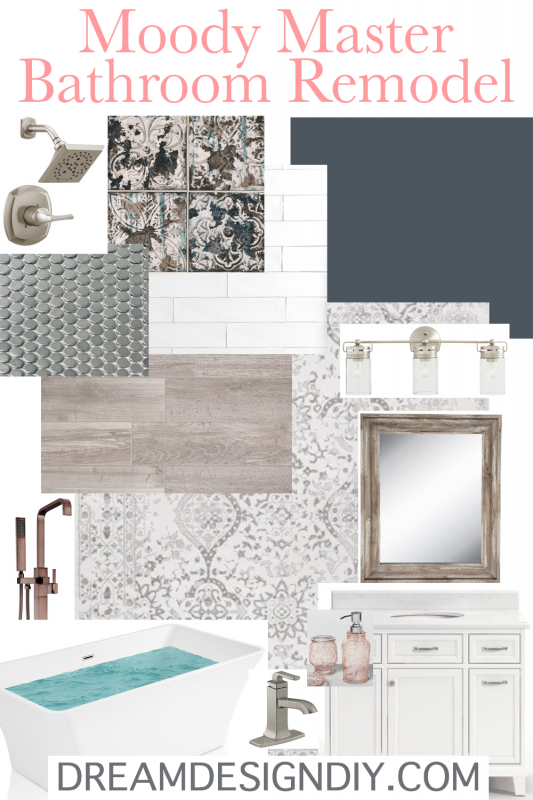 Tiffany….at least you have a WO room to keep you motivated:) Looks like a perfect space to me! Thank you! 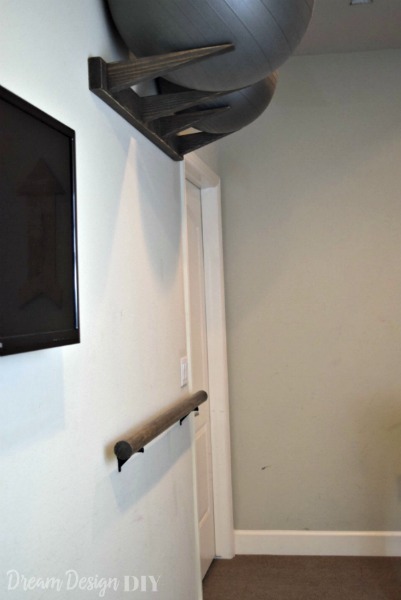 It is a great space in the basement. Just enough space and I don’t have to dedicate a whole room to it.